Desensitizing agents are often applied to freshly prepared dentin prior to placement of fillings or other restorations. This helps to reduce the permeability of the dentin, which can significantly reduce the incidence of post-operative sensitivity. Teeth which have recently undergone restorative dental procedures (crowns, fillings, etc.) may develop sensitivity to temperature changes and chewing afterwards. The tooth typically does not ache on its own, and the patient’s bite feels normal. This behavior is normal, and is most often due to an inflammatory response by the body, following surgical procedures on the tooth. Many people do not realize it, but teeth are living, and are equipped with extremely sensitive nerve tissue which is capable of detecting the subtlest of changes in internal blood pressure, bite forces, etc. Working on teeth during dental procedures frequently produces such changes. How does the dentist diagnose Post-Operative Sensitivity? There is a history of recent filling, crown, or other restoration on the affected tooth. The patient reports tenderness to bite, and frequently to temperature changes, especially cold. 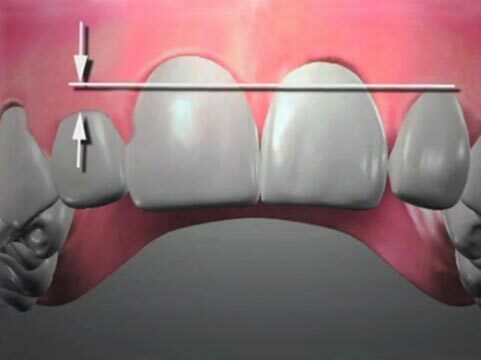 An evaluation of the patient’s bite relationship (occlusion) demonstrates normal forces and no premature contact with the new restoration (i.e. it doesn’t hit first when closing together). 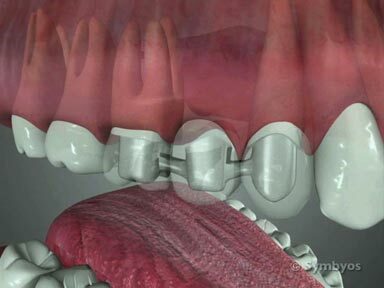 There are no working or non-working interferences on the affected tooth (i.e. premature contacts that occur on the new restoration when the lower jaw is moving side to side). These issues are usually evaluated with an occlusal marking ribbon, and a piece of thin plastic. Petroleum jelly may be applied to the marking ribbon to help it mark wet teeth. The dentist may use an electronic device to measure biting forces. Generally, there will be no findings on X-ray images within a few weeks of the procedure, as changes take longer than that to appear on X-rays. However, the dentist may recommend taking a baseline X-ray, against which future changes may be compared. How is Post-Operative Sensitivity treated? Prevention of post-operative sensitivity is the best treatment, whenever it is possible. Dentists use several methods to minimize inflammation in the tooth pulp during tooth preparation, including the following: use of large amounts of cooling spray directed at the dental cutting instrument; use of light cutting forces; use of sharp cutting instruments; use of well-maintained dental handpieces, which spin the cutting bur without the cutting attachment wobbling; complete removal of decay; and by minimizing the removal of tooth structure. After preparation, the exposed dentin may be treated with a variety of different desensitizing and bonding agents, which can significantly reduce the incidence of post-operative discomfort. The dentist may prescribe anti-inflammatory medications to reduce fluid accumulation in and around the tooth following the procedure. 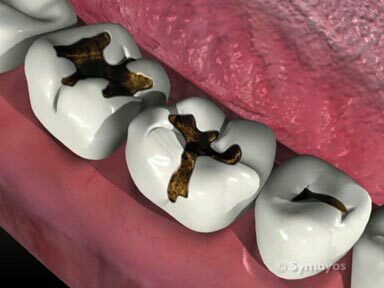 If the tooth has exposed tooth roots because of receding gums, which may have been irritated by a rubber dam clip, application of desensitizing medications may be recommended. The dentist may want to monitor the tooth for an abscess or the development of inflammation of the tooth pulp that does not get better. This condition is called (irreversible pulpitis). This will typically involve taking X-ray images (radiographs) of the tooth at regular intervals over several months.